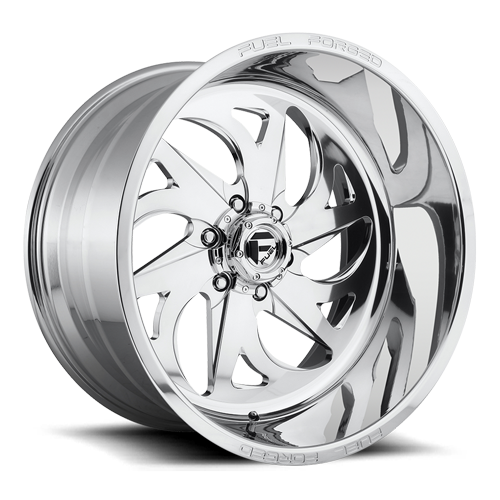 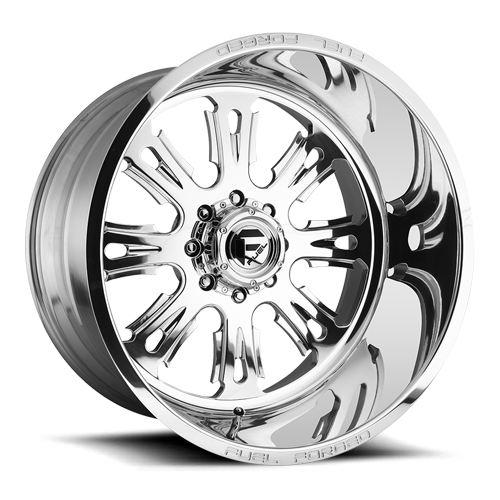 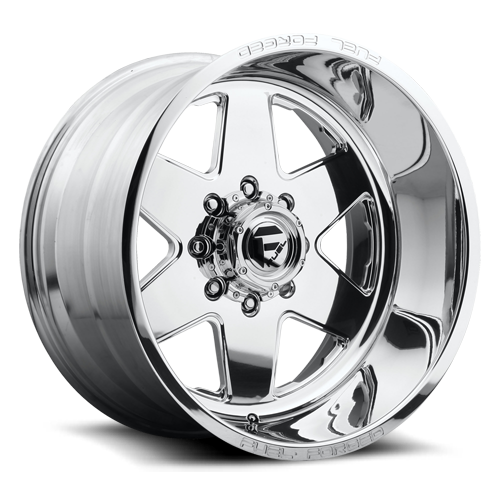 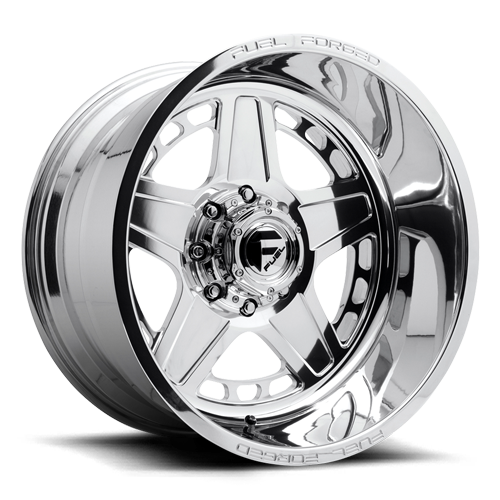 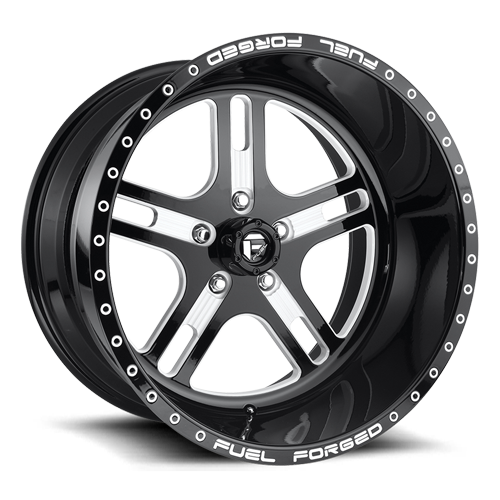 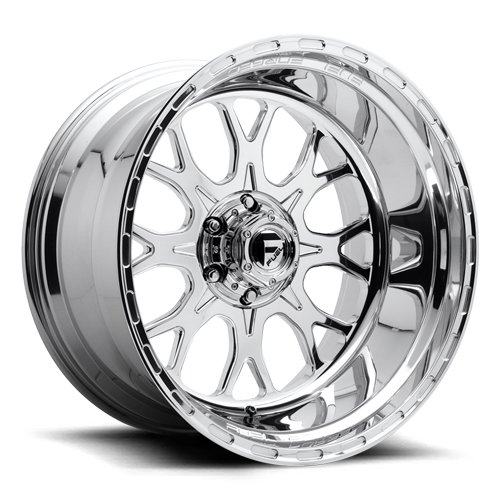 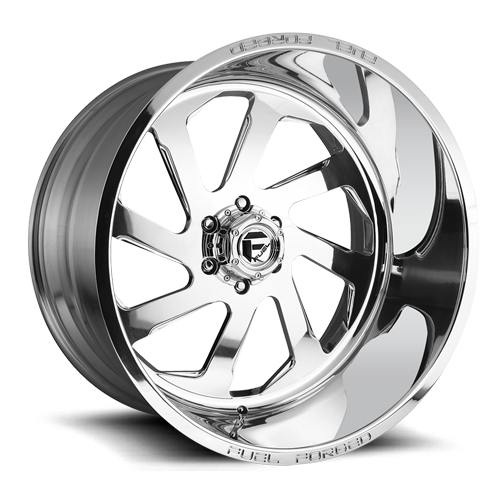 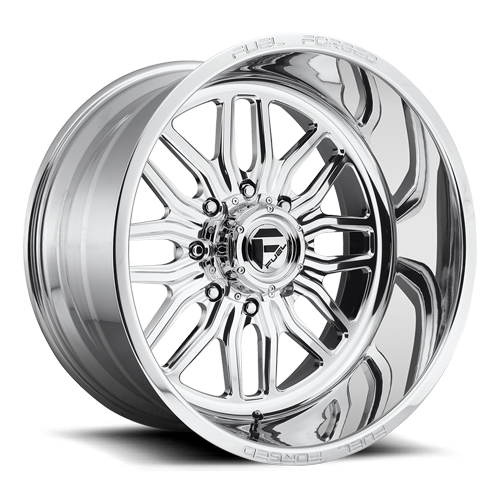 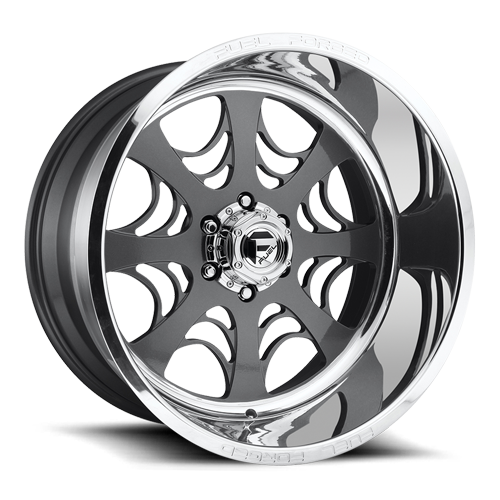 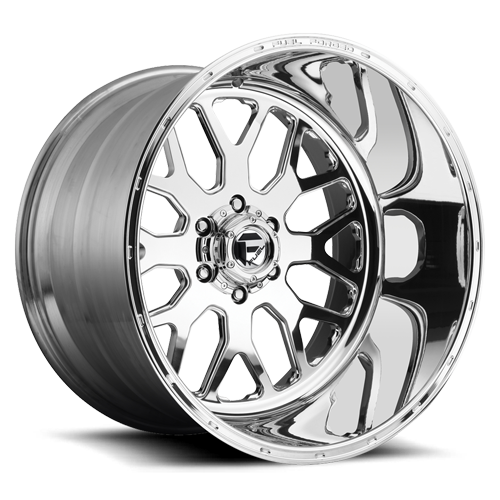 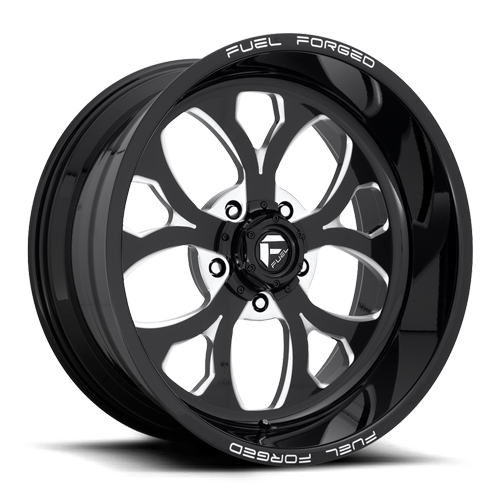 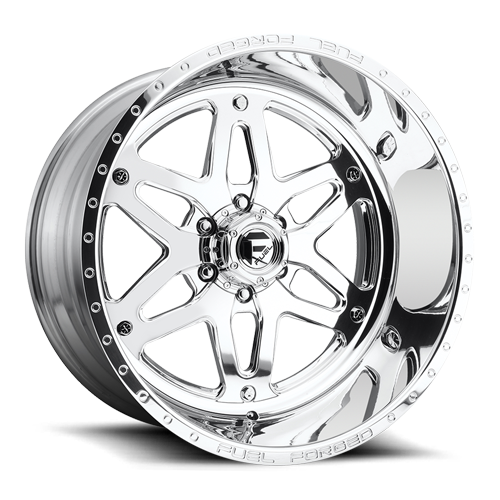 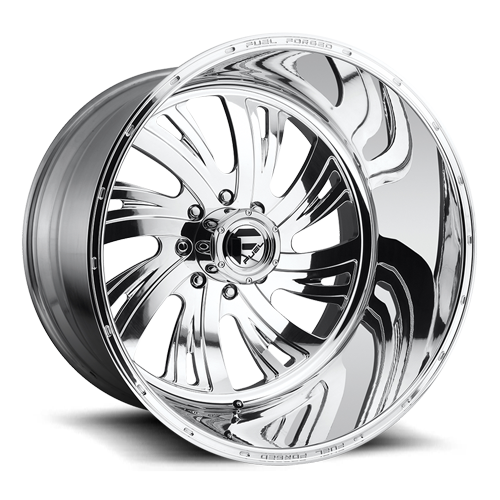 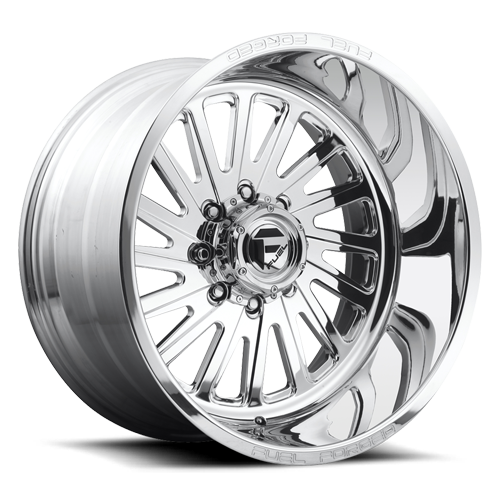 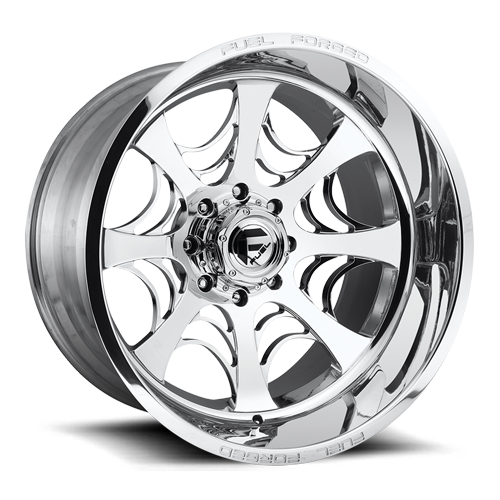 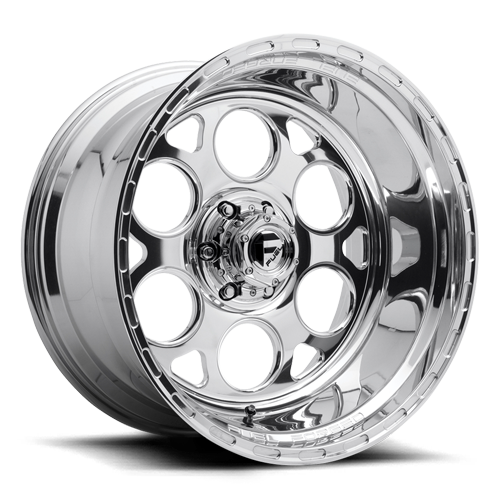 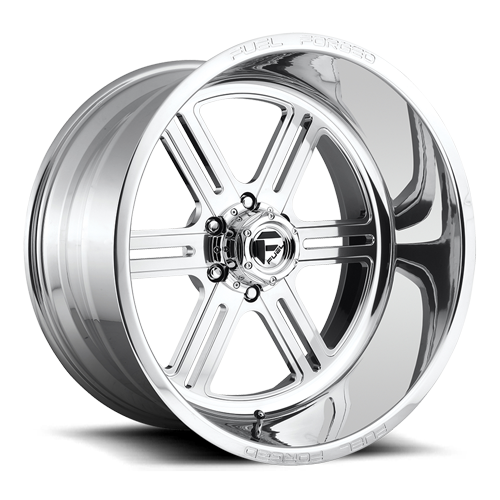 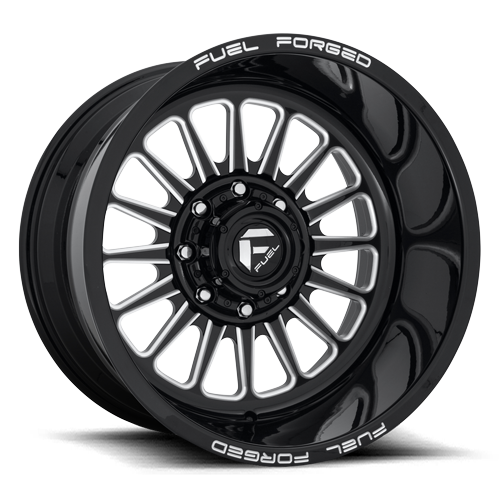 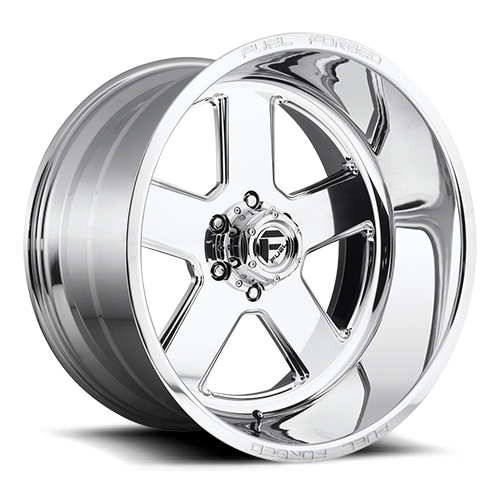 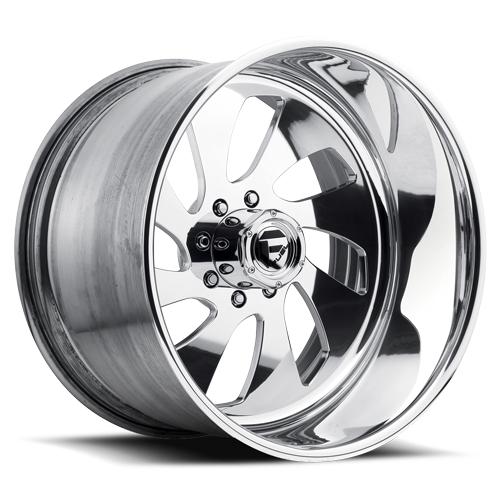 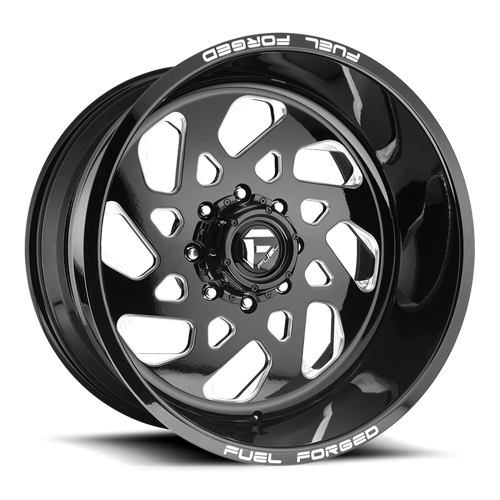 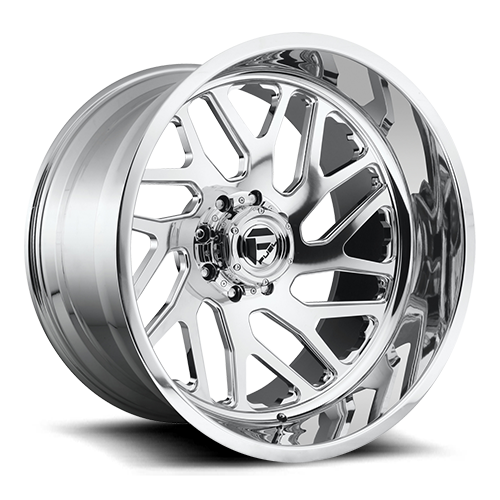 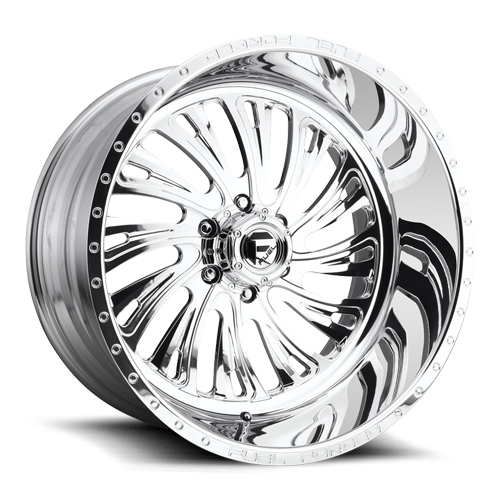 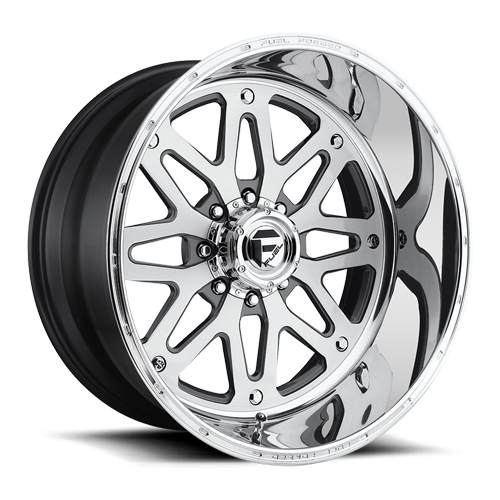 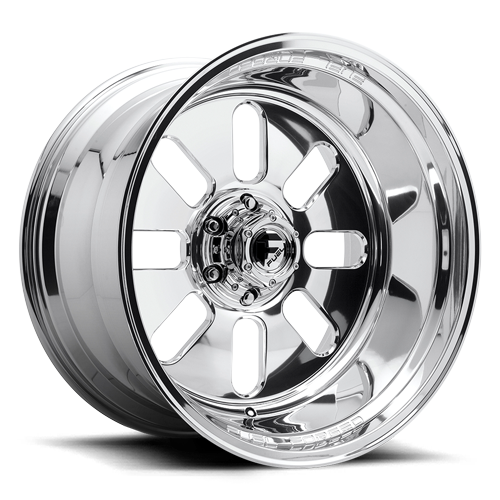 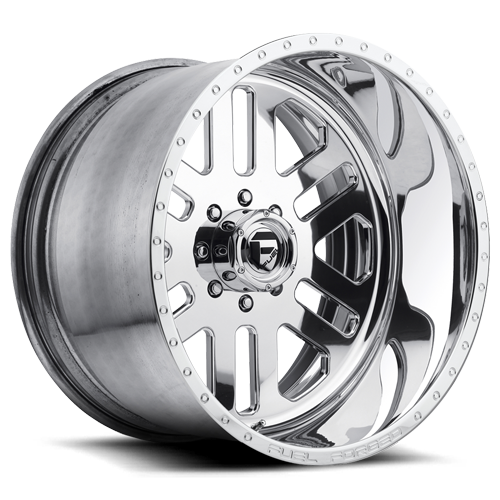 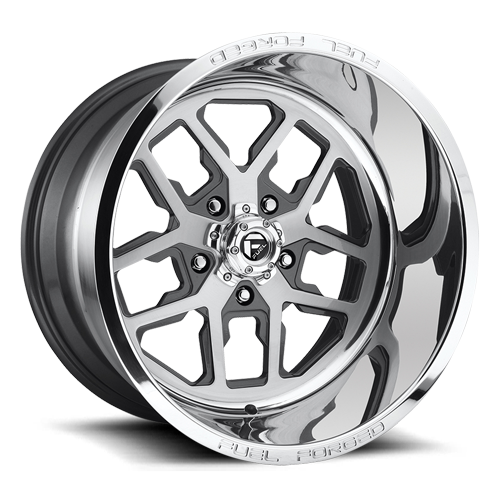 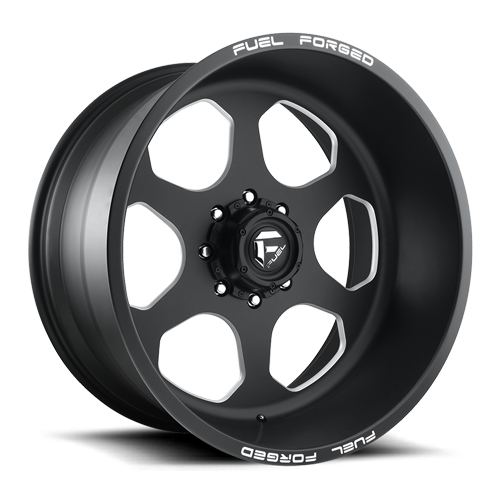 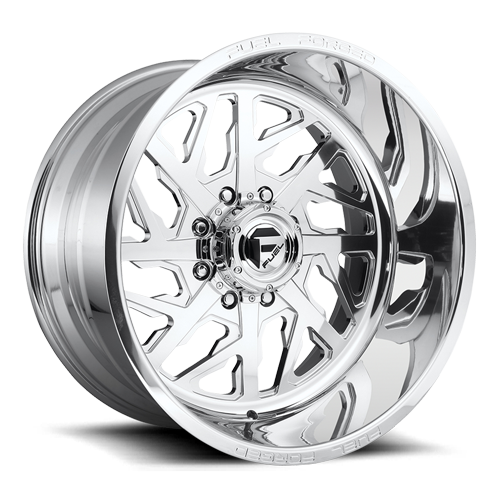 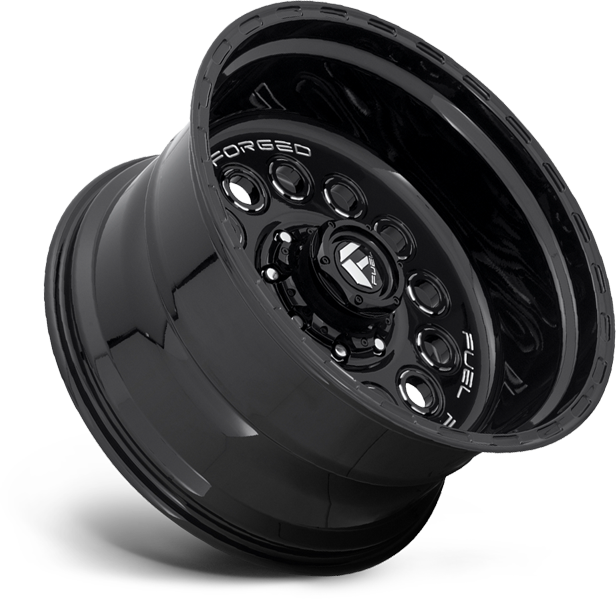 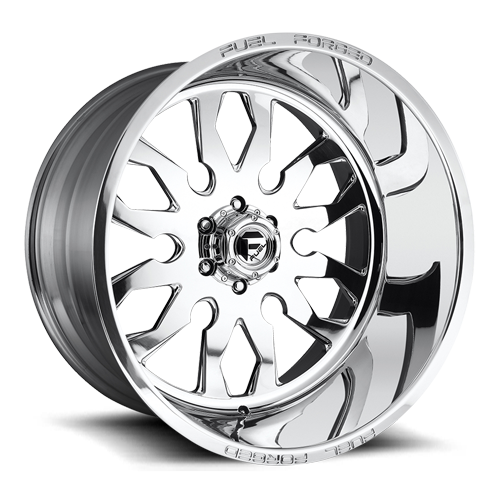 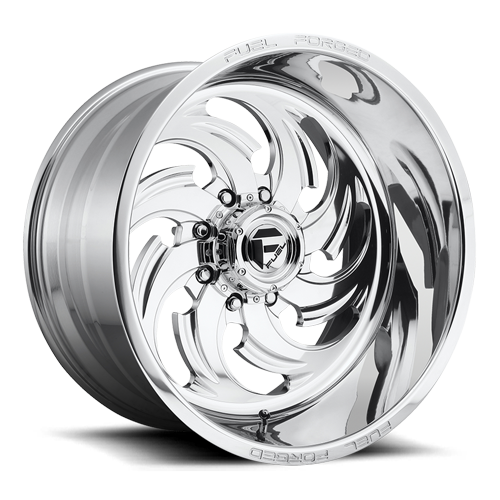 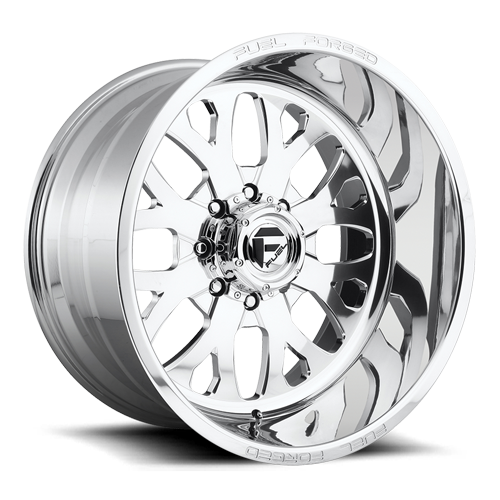 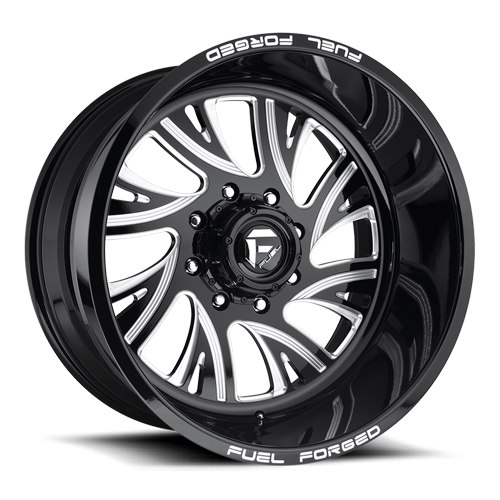 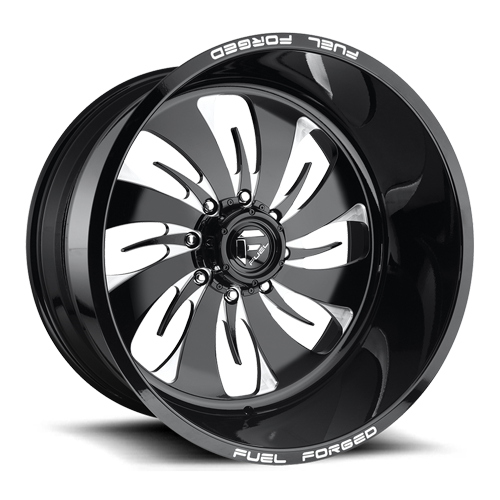 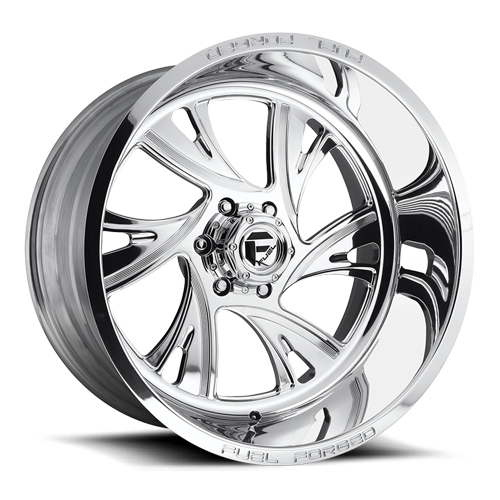 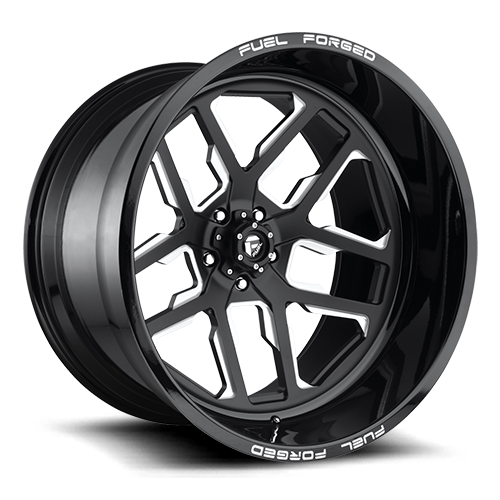 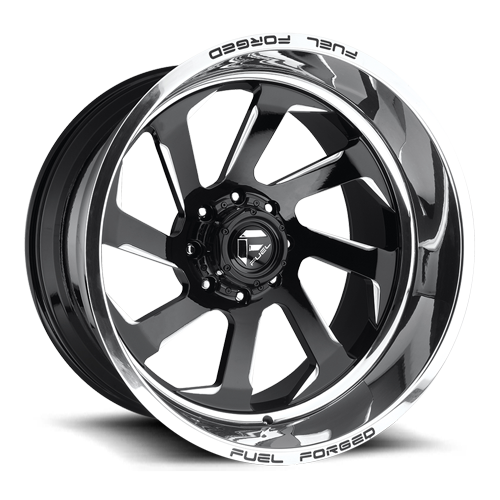 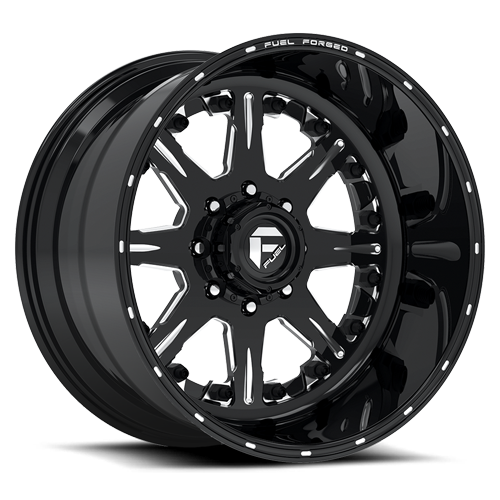 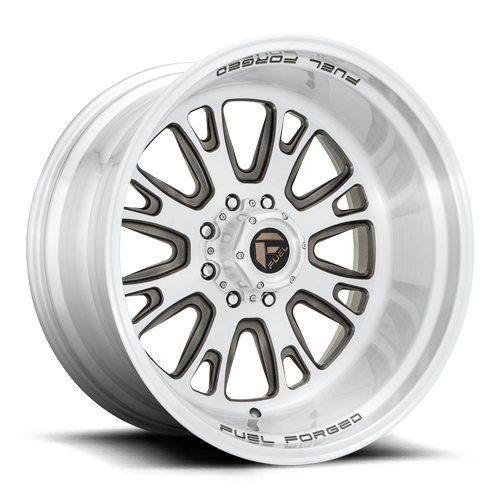 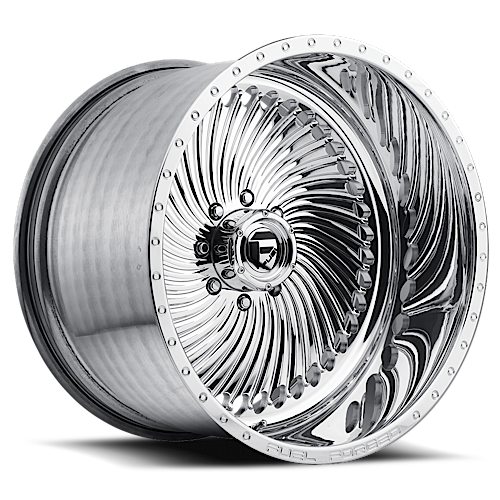 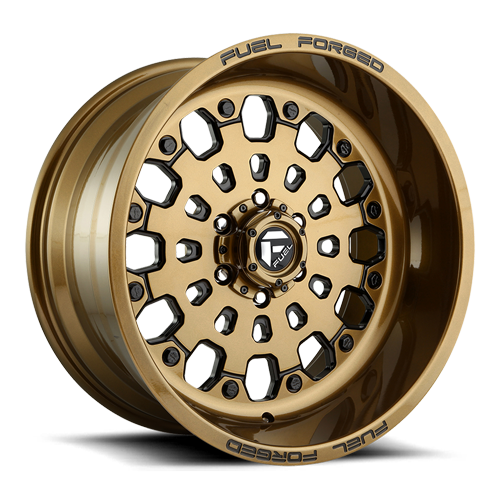 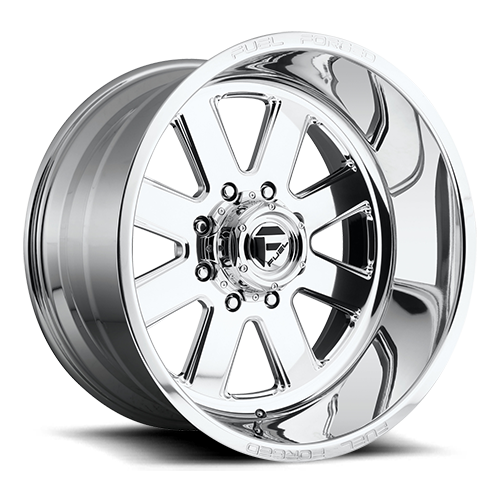 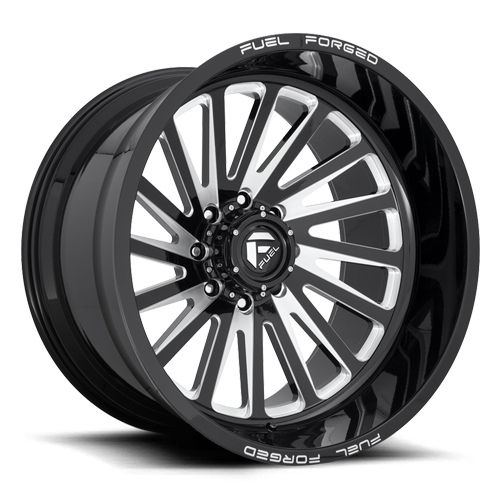 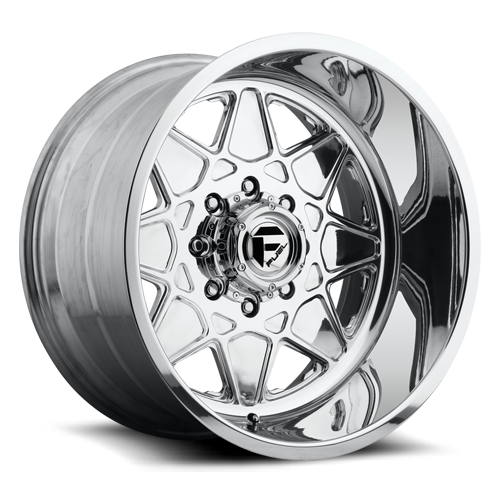 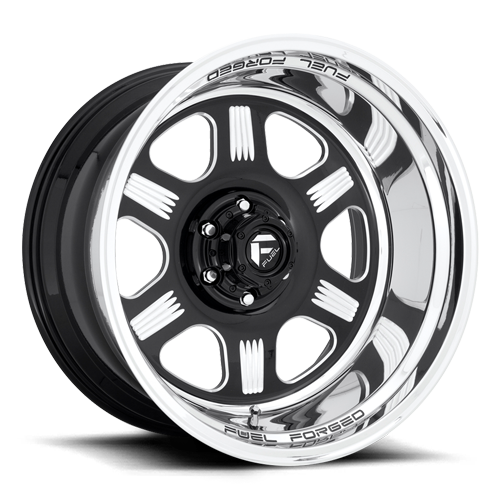 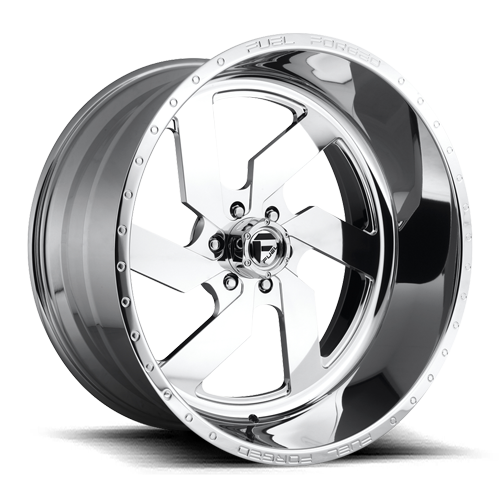 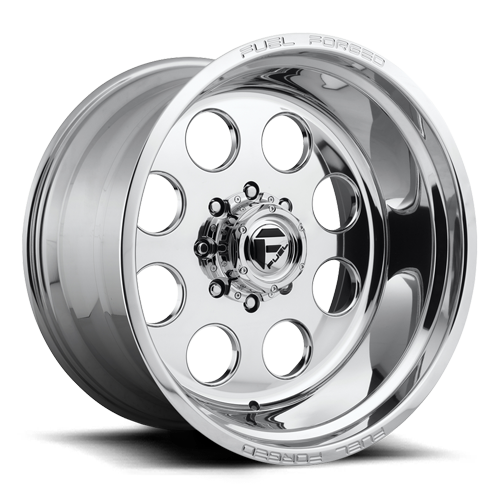 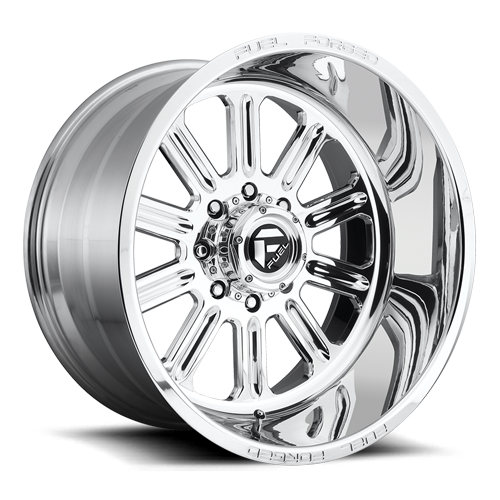 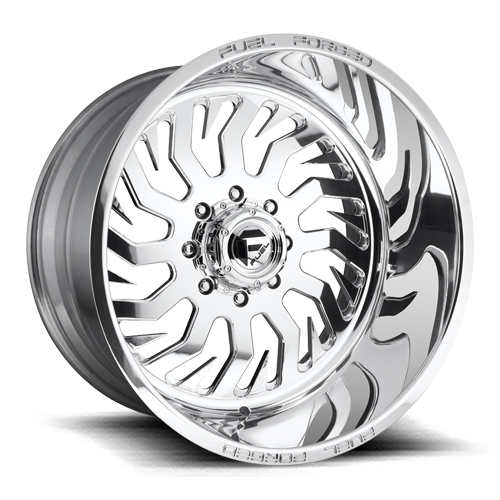 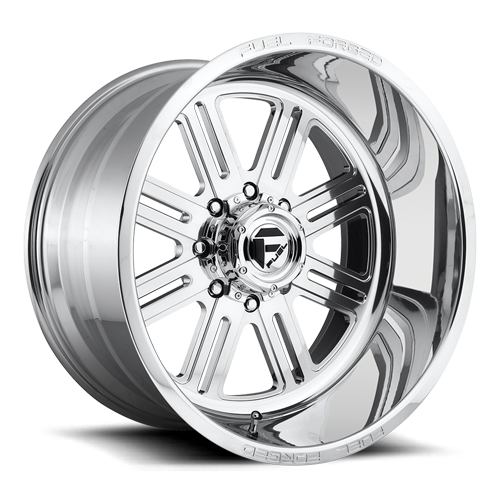 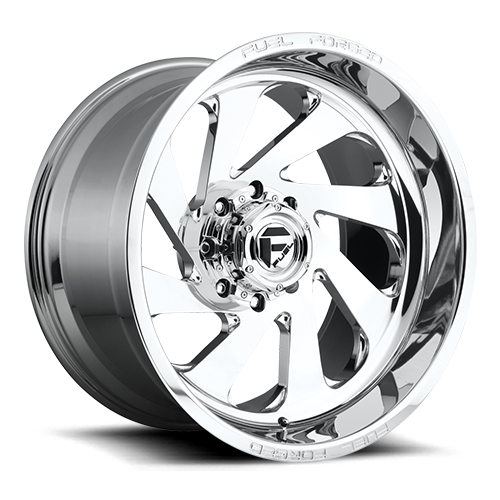 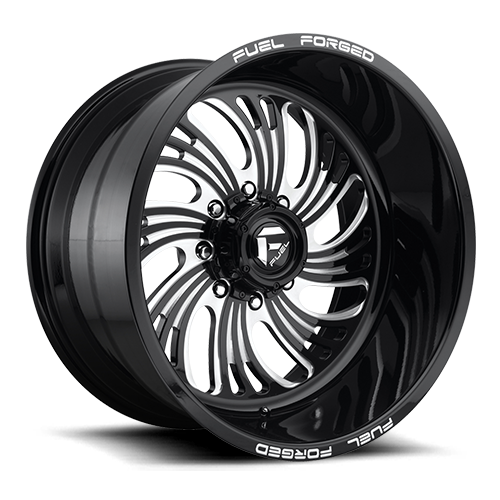 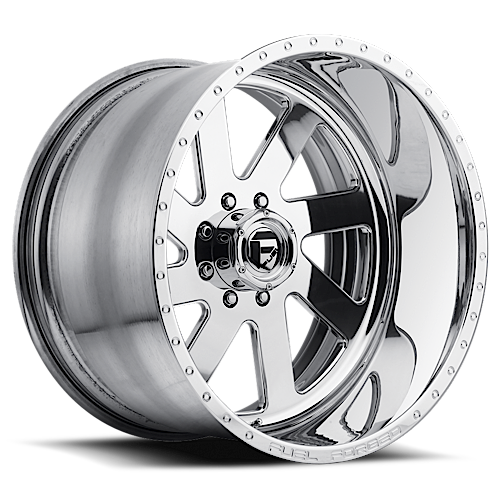 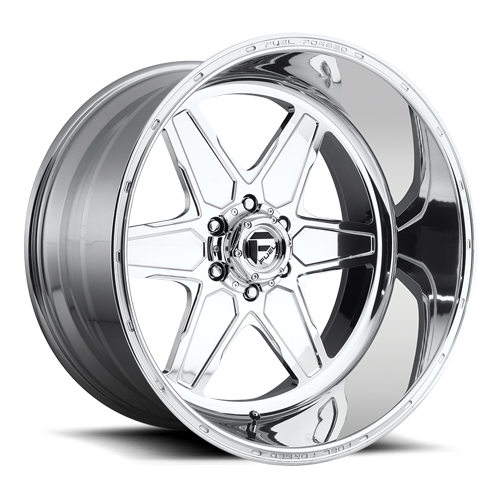 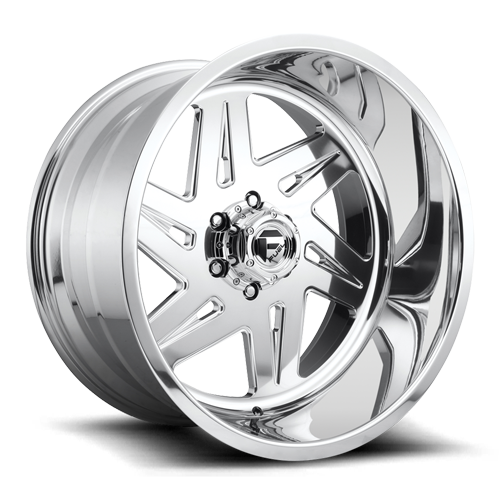 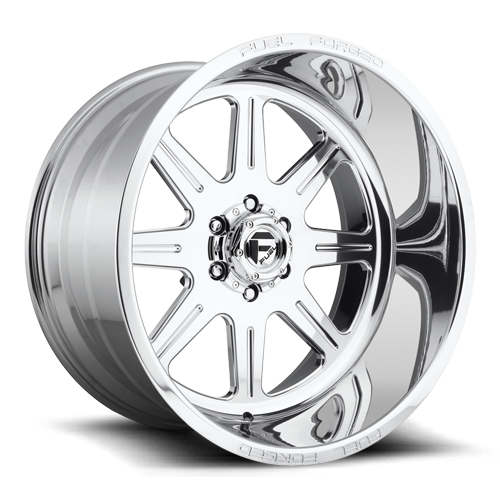 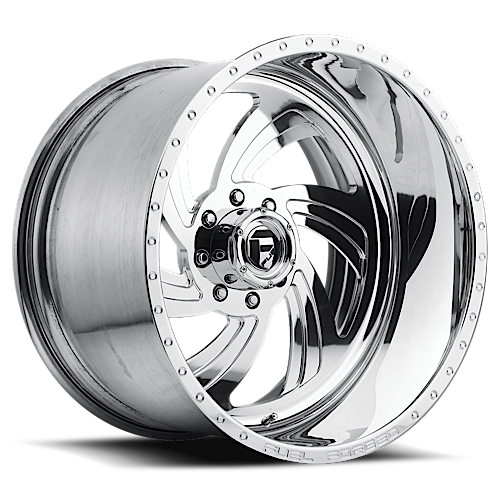 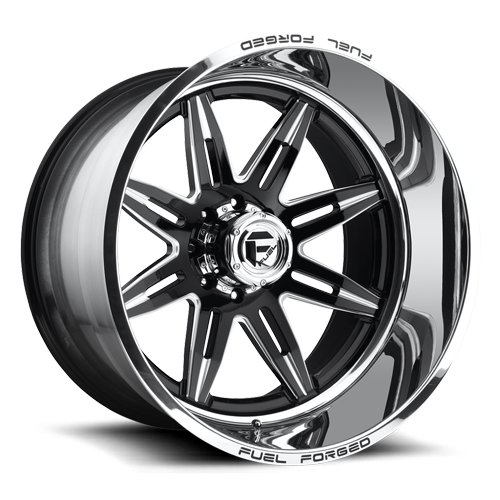 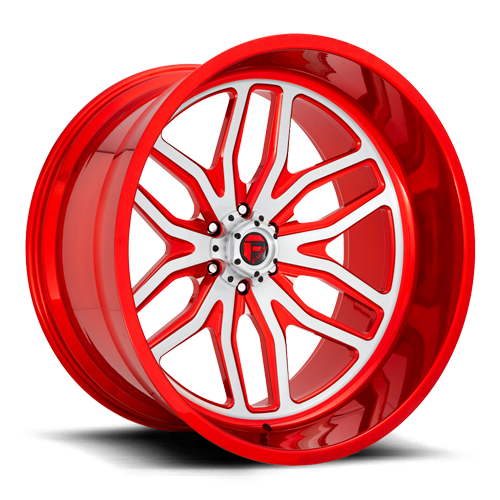 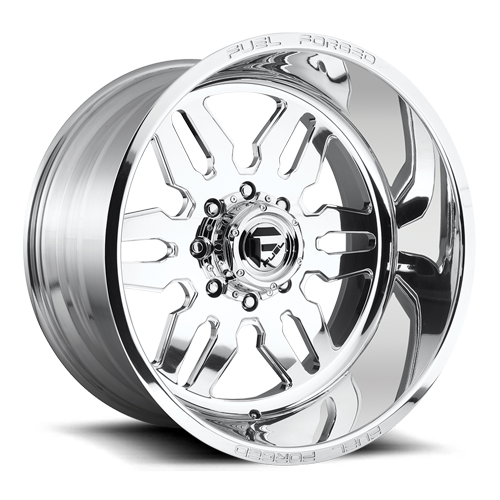 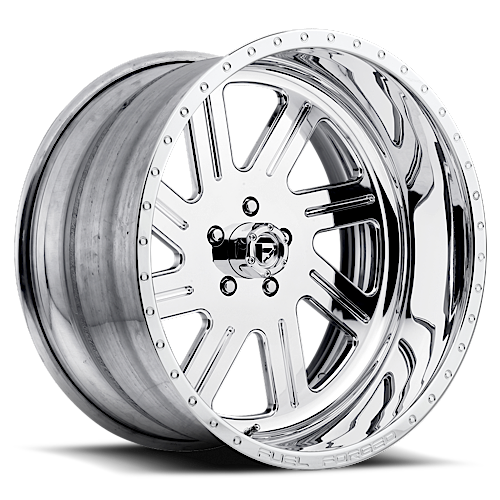 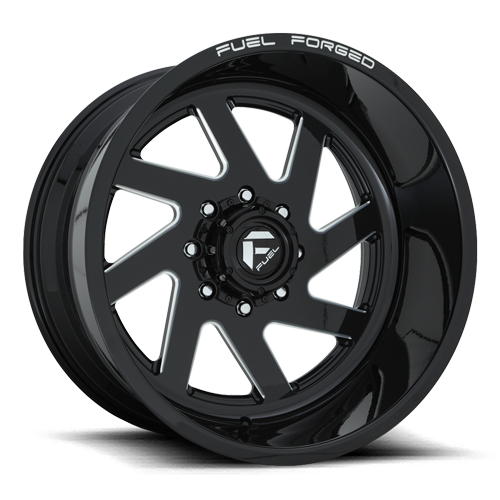 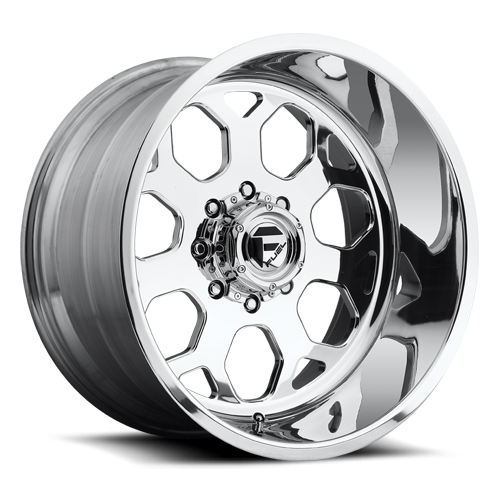 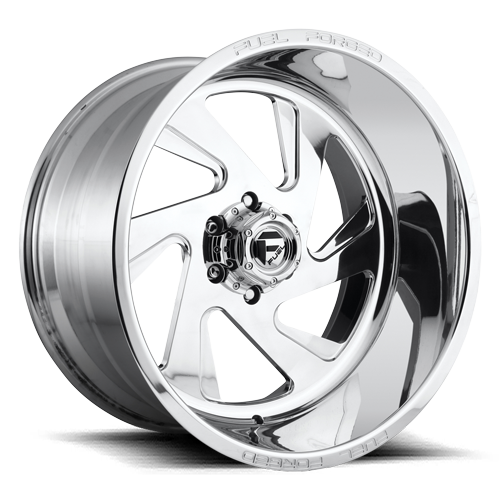 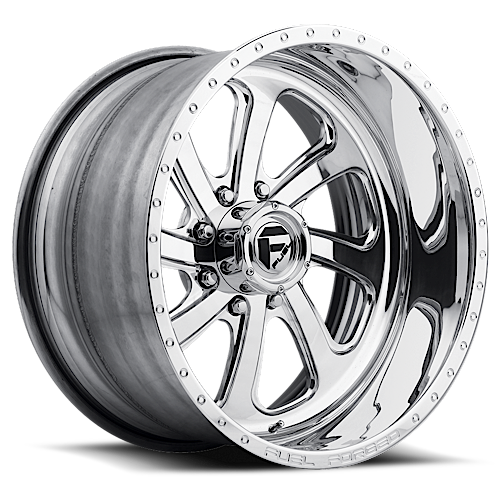 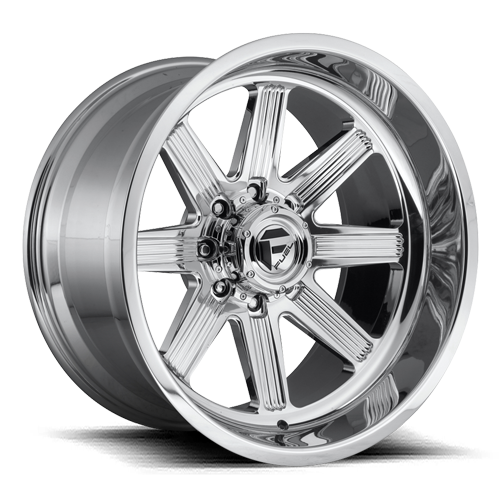 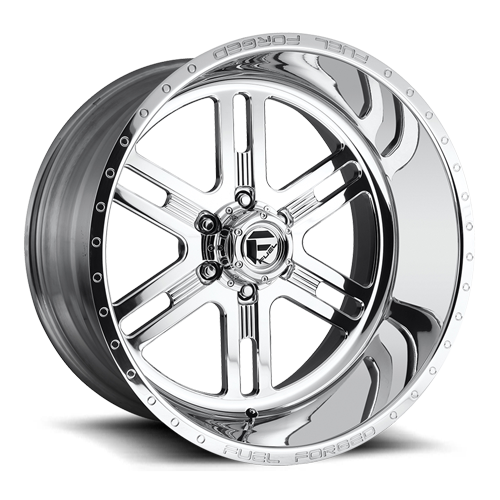 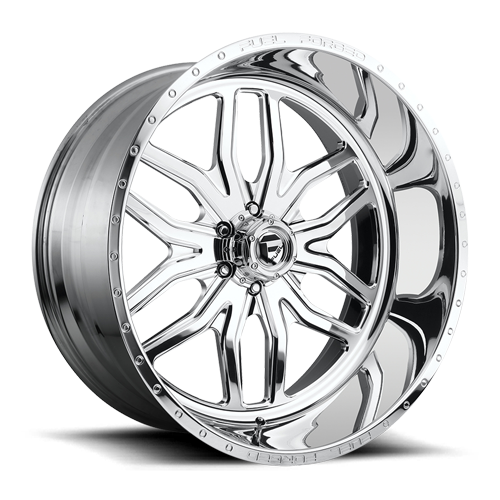 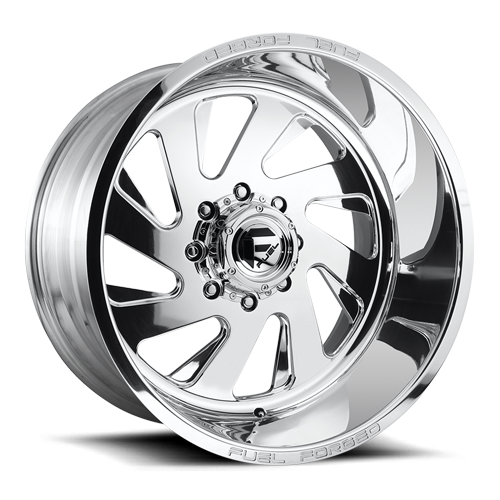 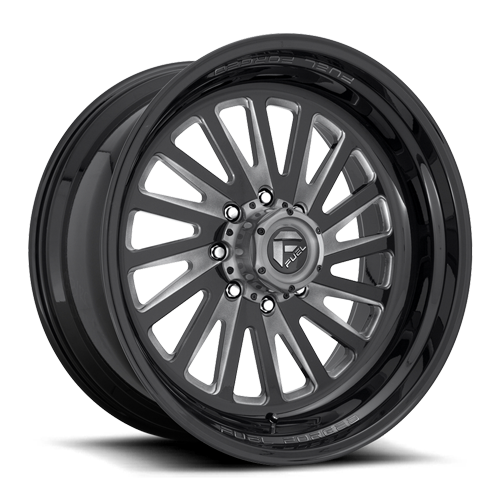 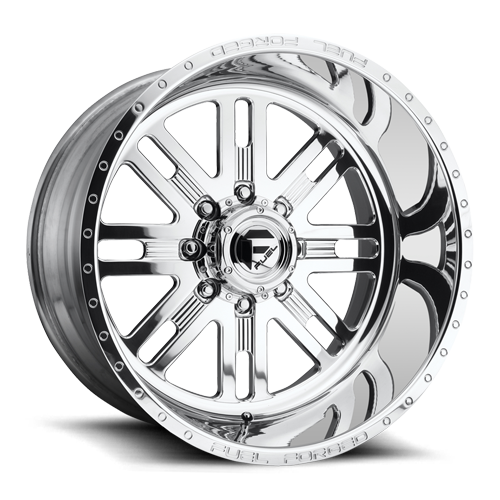 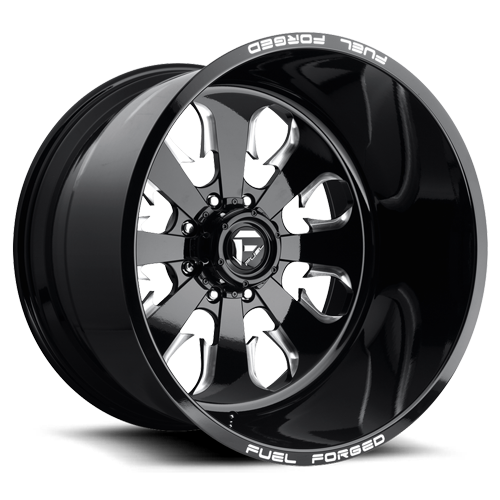 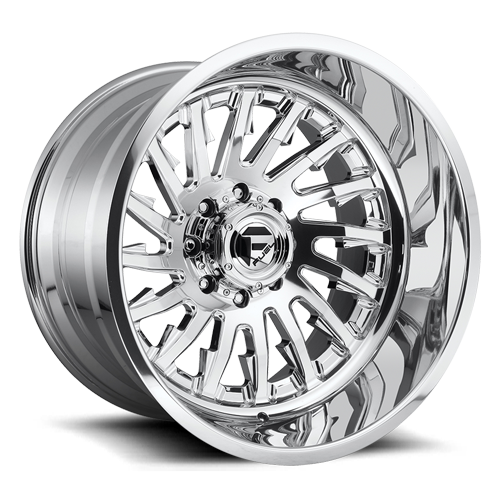 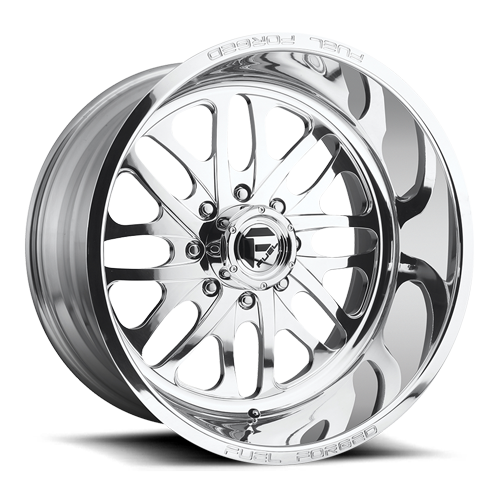 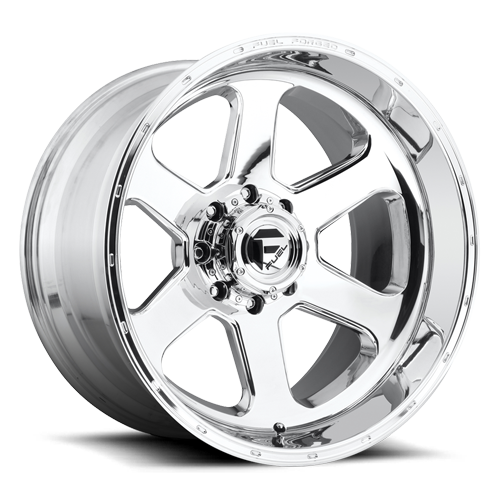 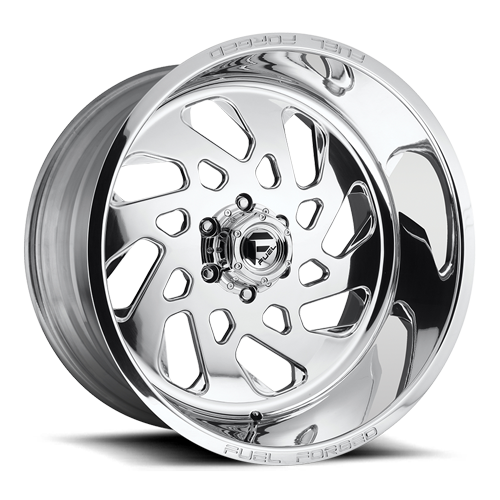 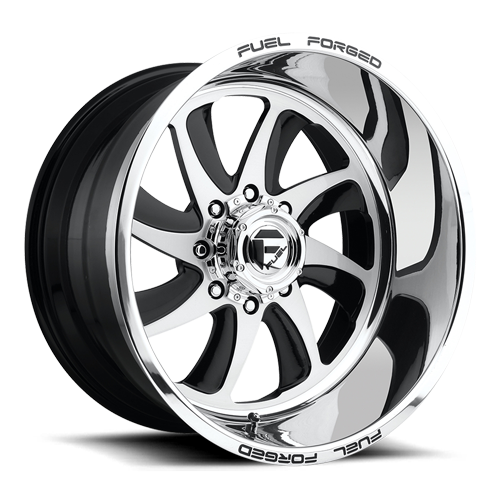 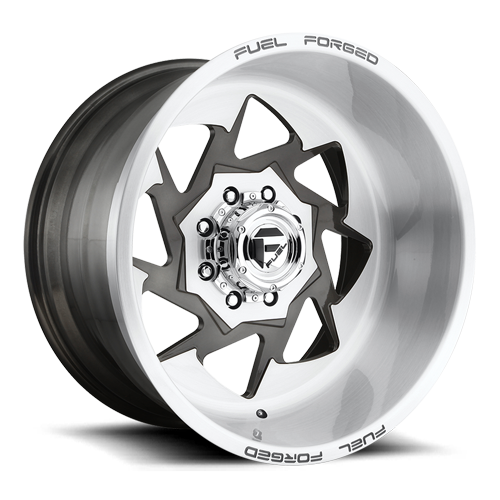 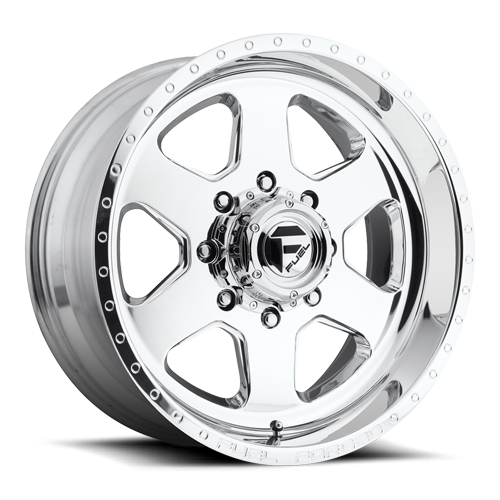 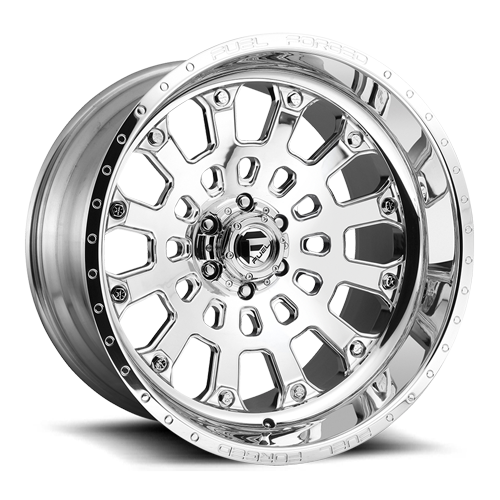 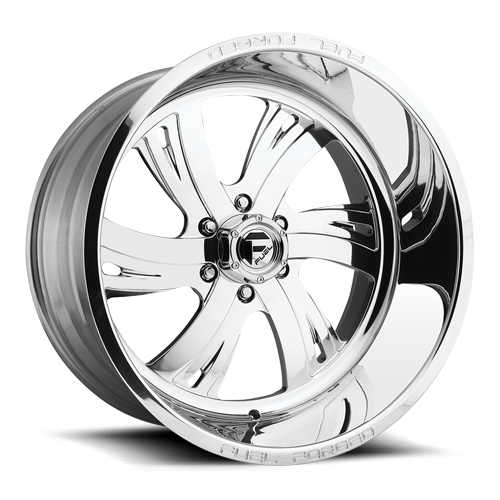 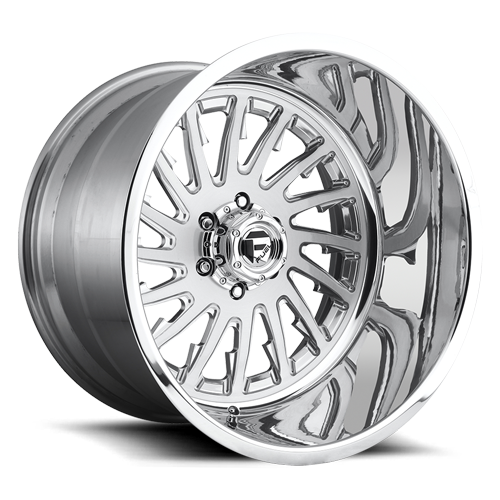 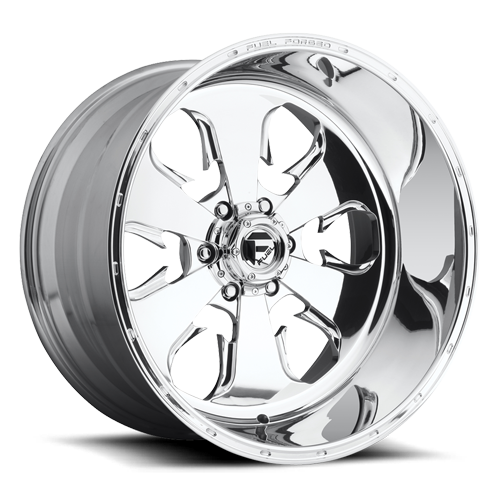 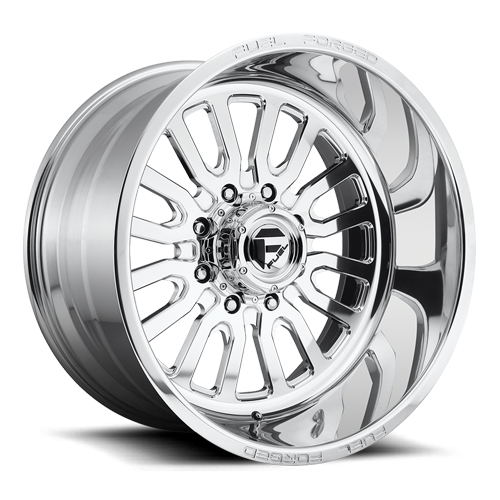 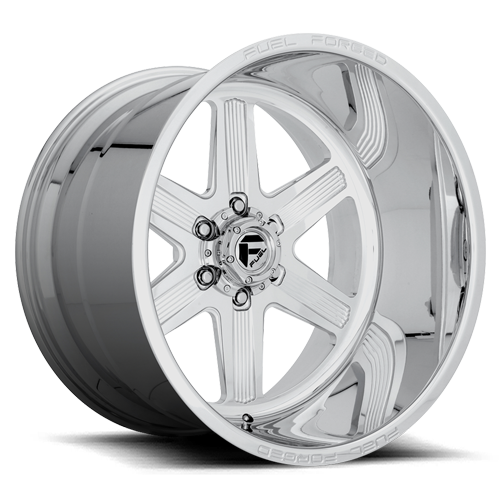 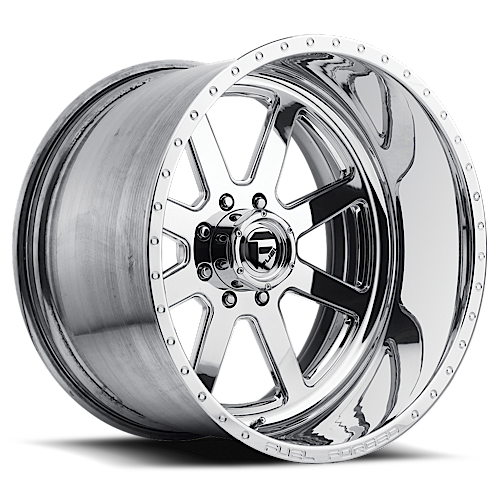 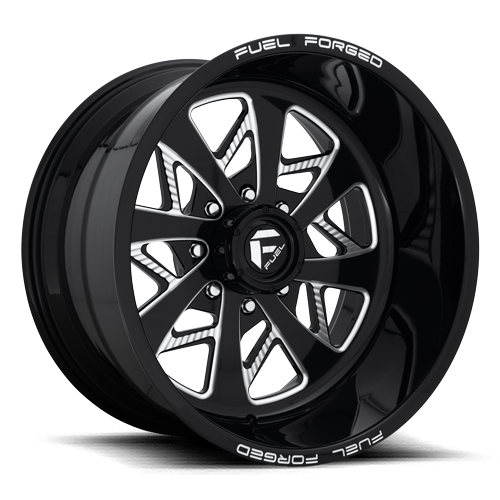 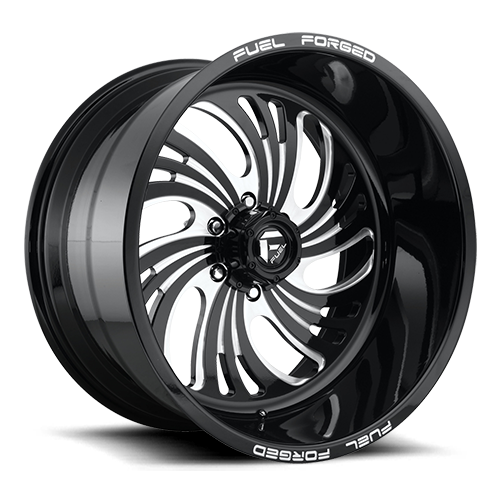 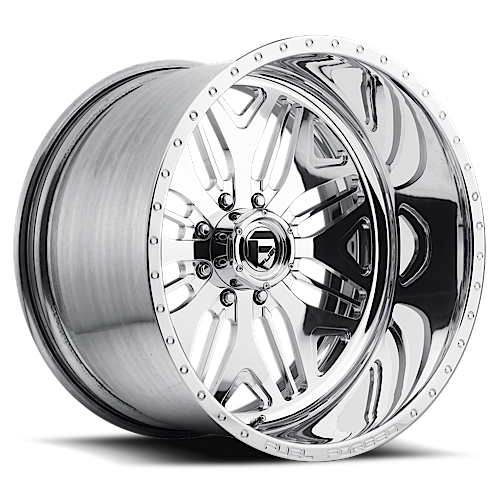 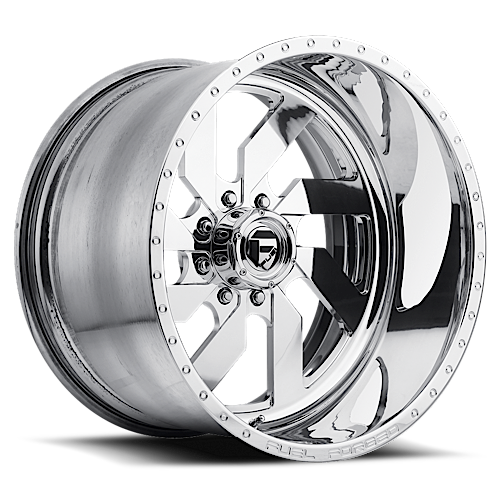 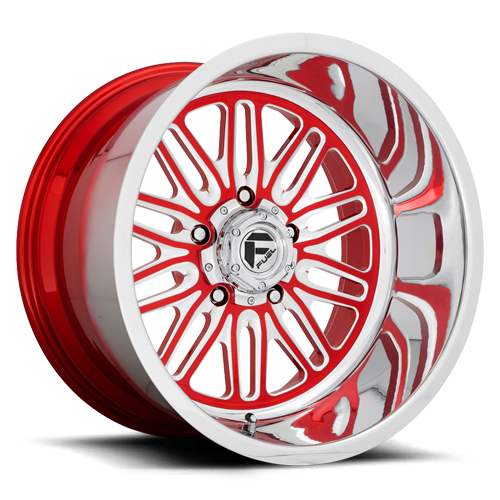 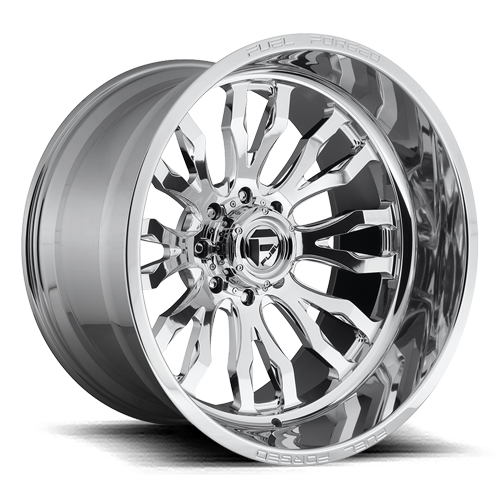 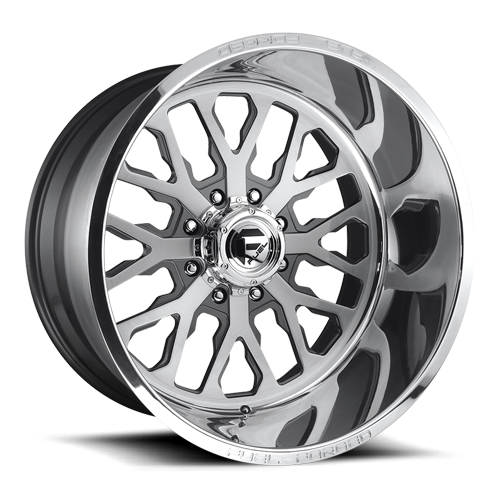 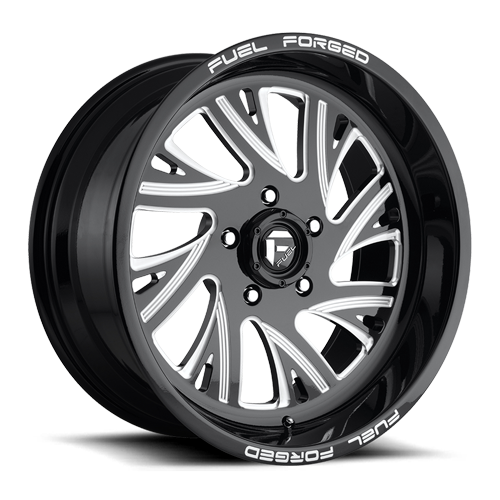 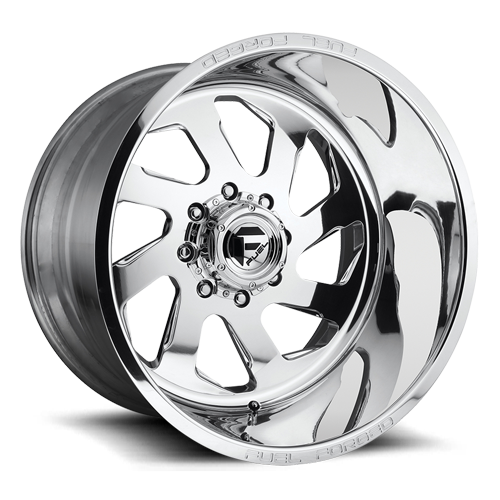 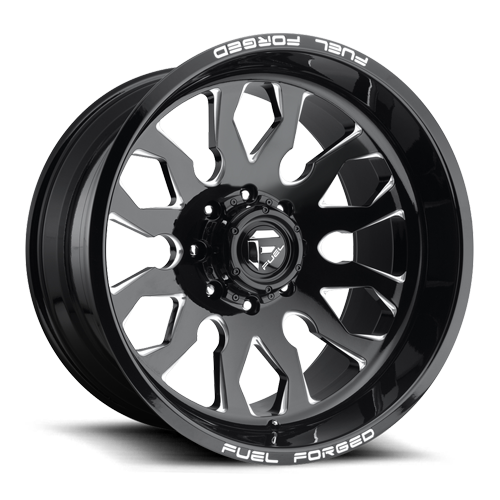 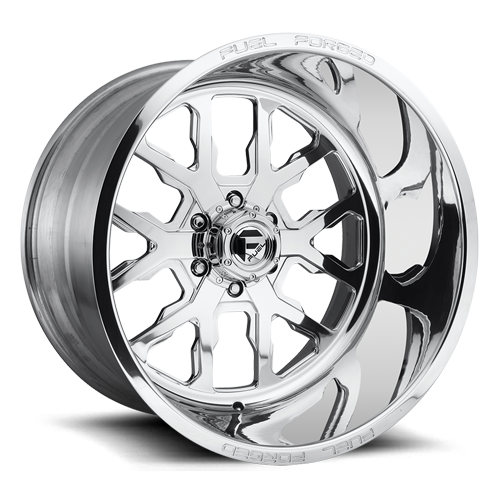 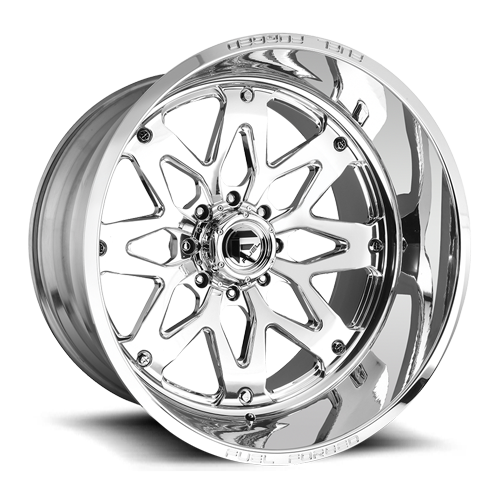 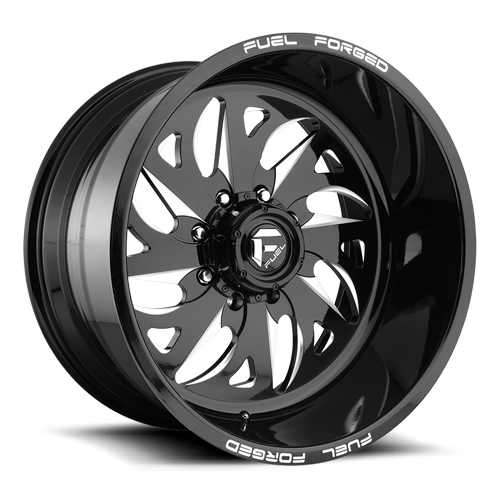 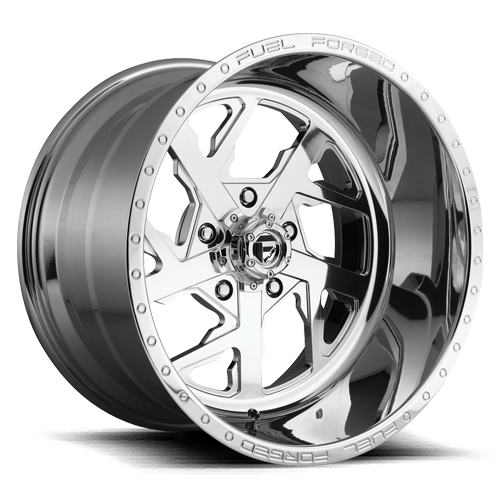 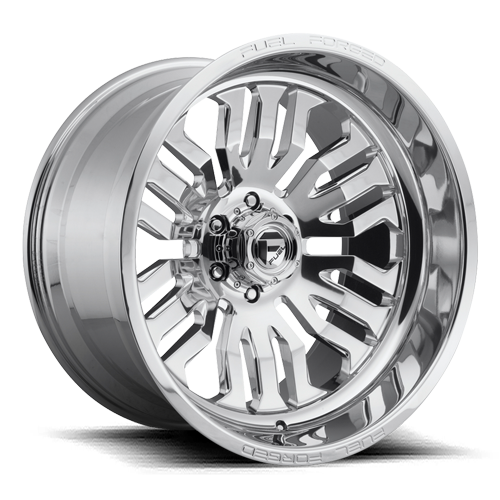 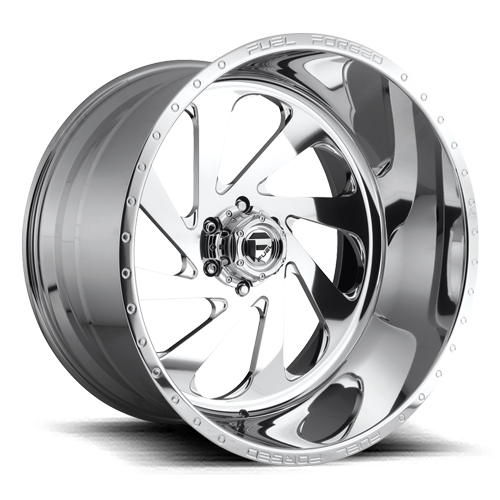 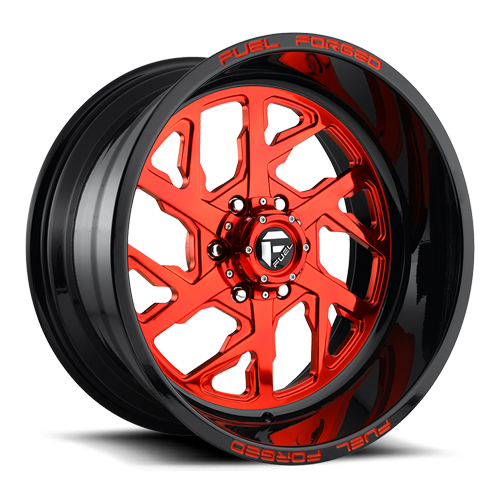 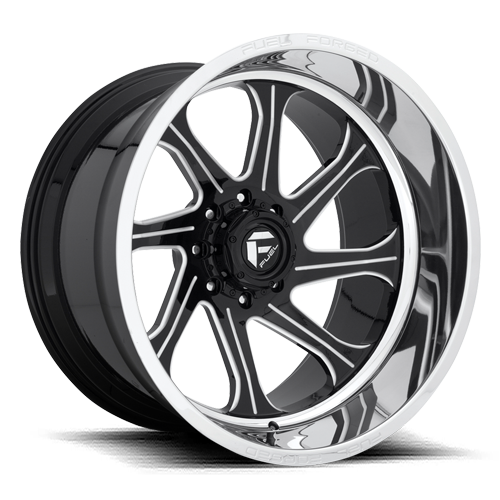 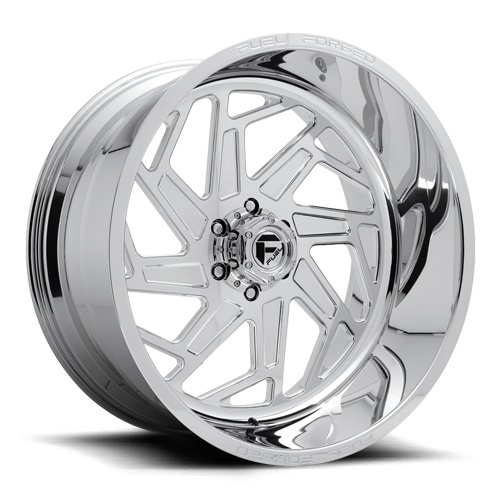 Fuel Forged wheels are machined from 6061 T-6 aluminum alloy monoblock forgings and come in 20" through 30" diameters. 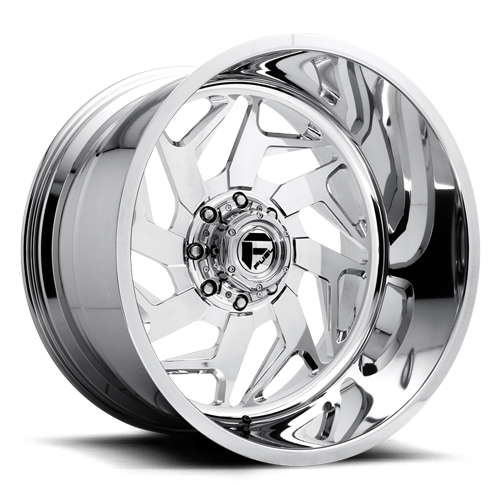 Yes, that’s the largest lifted truck forging on the market today. 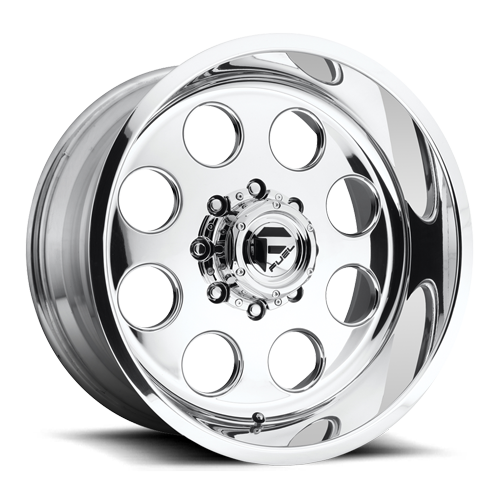 Each order is custom made to your vehicle’s specifications. 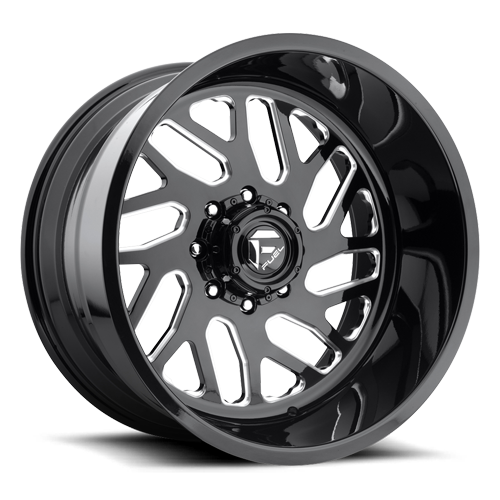 Standard finished is full polish or black with milled details. 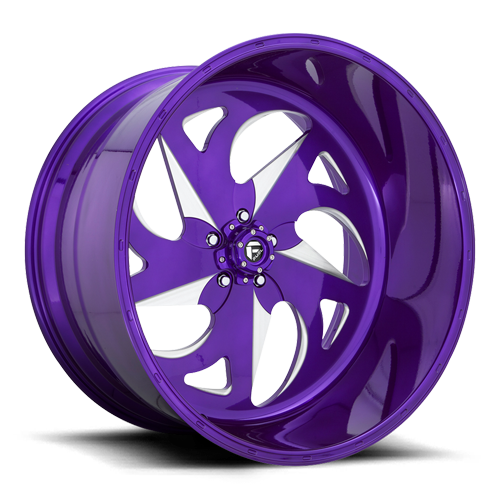 Specialty finishes done in house range from custom powdercoat colors, two tone and multi-color, and even paint matched to your vehicles color code. 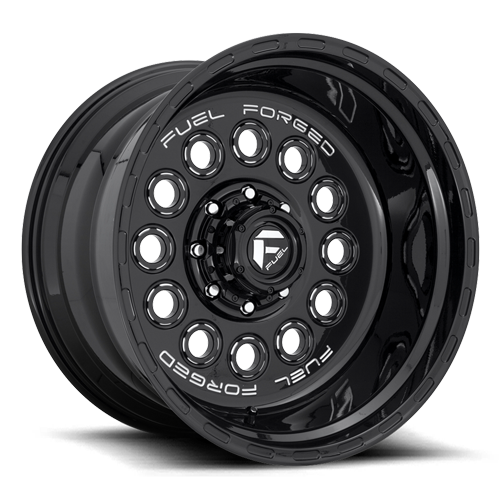 Fuel Forged has you covered.